Since we've been getting closer and closer to tiling the shower, I've been searching endlessly for sites offering affordable marble tiles. 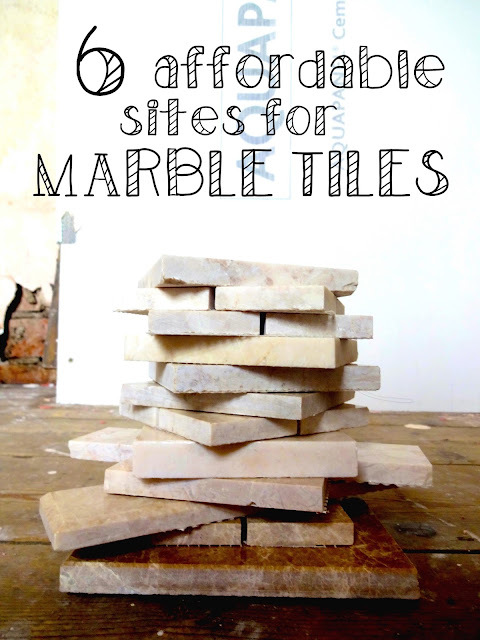 Whilst marble can price from £50-£100 per square metre (WOAH!) there are cheaper options too. I ordered samples from all the sites listed below and I can say first-hand that all the samples didn't actually vary too much. Some tiles were thicker than others, some were a bit darker than others, but in terms of the actual quality of marble - they all matched.. They were all good quality. The tiles we went with were from Stone Trader and cost £150 for the whole lot. Where's your favourite place to shop for affordable tiles?